Expert Advisors (EAs) are a couple of software running on the Meta Trader Platform. It can just advise traders on which trade needs to be done. Through this, it also can be programmed to execute the trades automatically. Once the position gets fixed, the expert advisor can add close conditions including stops, trailing stops, and limits. 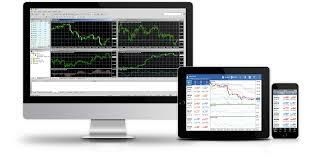 This software is very flexible which can take any information into account that is available on the Meta Trader platform. A proprietary programming language called Meta Quotes Language Version 4 is present while completing this program. EAs work by letting you decide the parameters through which you can find opportunities and even open and closed positions. This can also be completed by using the use of a set of yes/no rules to trigger trading decisions. The trader himself can set the EA’s parameters, or you can also import them from someone other pre-build design. By analyzing numerous yes/no rules into a complex mathematical model, EAs make sophisticated trading strategies by utilizing computational strength to make decisions and act on them instantly. People often love to have money which will be used to make more money. It can only happen when you are utilizing your investments in the market in open positions. And the gains are either withdrawn or used to open larger or more profitable positions which may make more money. With the help of EAs, there exist loads of yes/no rules that trigger a trade to open or close. EAs also save a lot of time for the trader. An already programmed EA can monitor hundreds of markets, which implies you don’t have to watch price movements all the time in a day in order to find new opportunities. You can also decide how much time you dedicate with the help of EA in a particular task. EAs also help to trade with no emotions. Emotions often encourage the traders to hold on to a losing trade for longer than you should as you cannot realize the loss, or dive into a reckless trade too quickly, riding high off a big win. EAs also give the flexibility to trade using MT4. It takes lots of information into account like price movements, economic announcements, technical indicators or even your current available balance. It also allows traders to backtest. In order to prepare a strategy, traders often learn from history. This can also implement Historical steps in order to check whether the steps are profitable or not. One can easily do this without losing anything. Backtesting is nothing but running one strategy against a chunk of real historical data and seeing how it performed. It helps to weed out any issues before they end up losing you real money. The accessibility of EAs is also one of the most significant factors. One can easily build his strategy or directly can export the strategy from someone else. By importing one can get the critical ideas of trading pattern and it would need simple tailoring. Is there any Risk in Expert Advisory? There are multiple inexpert advisors present. They cannot be as true and profitable as they claim. Before buying a ready made EA, one needs to be very careful and do his/her own research. A ready made As EA can only help a specific group of traders changes is done accordingly. There is a definite lack of human touch. And EA can be complete with all the good and profitable norms, but it can never surely beat the human brain. The complete absence of human emotion is also bad for the trading career. The EAs can run on MT4 platform, which you have to install before utilizing this program. Which means you can only use it from the device it is present on. Thus, the EA can only run when the PC is on. A VPS is an online version of the MT4 platform which allows the EA. The online version is hosted on an external server, enabling your EAs to operate even when your computer is switched off. Through it, you won’t have to stay with a computer always. One can easily his own EA or directly can download someone else’s model. Whatever the way might be, it surely needs back testing, so that you can reap maximum benefits out of it.